The Fluke 414d is a laser distance measurement device. It is housed in a yellow orange casing, rubbery on the outside, rigid on the inside. 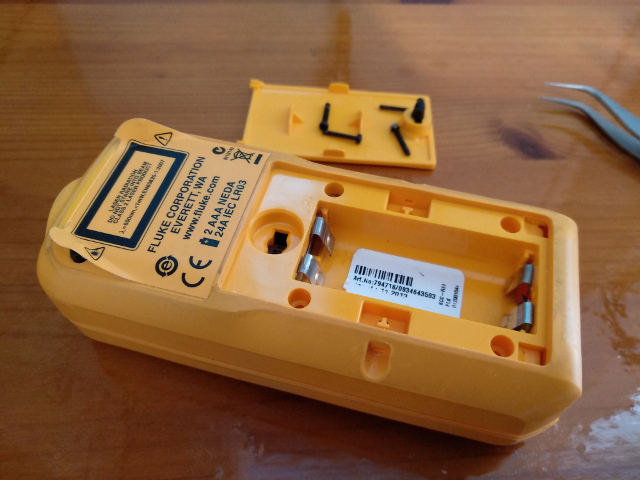 The LCD display, along with the control buttons, occupy the top, while the battery compartment for the dual AAA batteries is accessed from the bottom. A slot latch unlocks the battery compartment with a 45° turn. The Fluke 414d clam style casing is released by undoing 6 black oxide, Torx screws. 4 of these Torx screws are obviously positioned within the battery compartment. 2 Torx screws are hidden under the product label. The Fluke 414d laser distance measurement module is a one piece assembly containing the laser, the collimating lenses, the mirror, the printed circuit board, the detector, and most importantly, holding them in complete optical alignment. 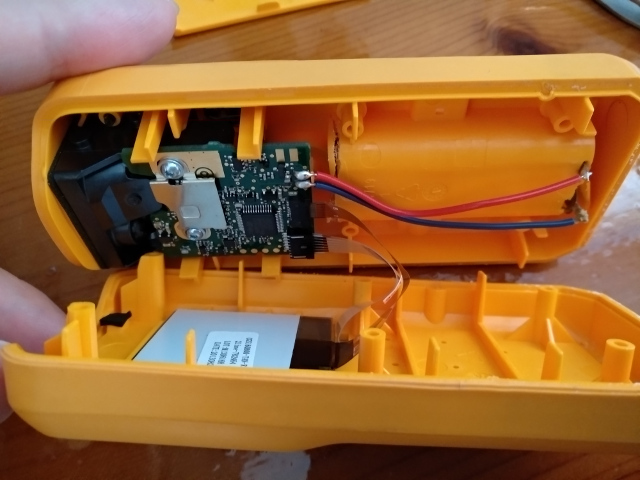 The laser module is attached to the battery compartment bottom half, and the LCD and control button panel is attached to the upper clam casing half. Two FPC cables connect the LCD and the control button panel to the laser module, so care must be taken when separating the two halves. 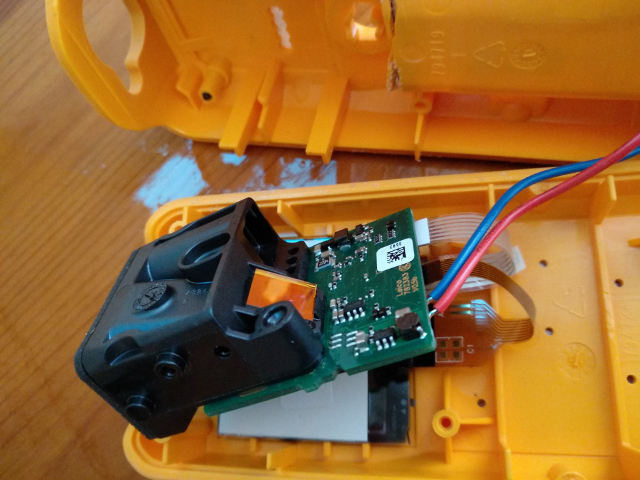 The laser distance measurement module is attached to the battery compartment half with an aluminum Torx screw. This screw is also hidden under the left side of the product label, nearer the battery compartment. The 45° orange mirror and the Leica printed circuit board are clearly visible. Repairs may now commence.